These are discontinued, open-box, or clearance products. All products are priced as marked and not eligible for return unless defective. Product is guaranteed to be in new or like-new condition. Limited quantities on hand. The rippling surface of the glass mimics the flow of water in the aptly named Lagoon collection. 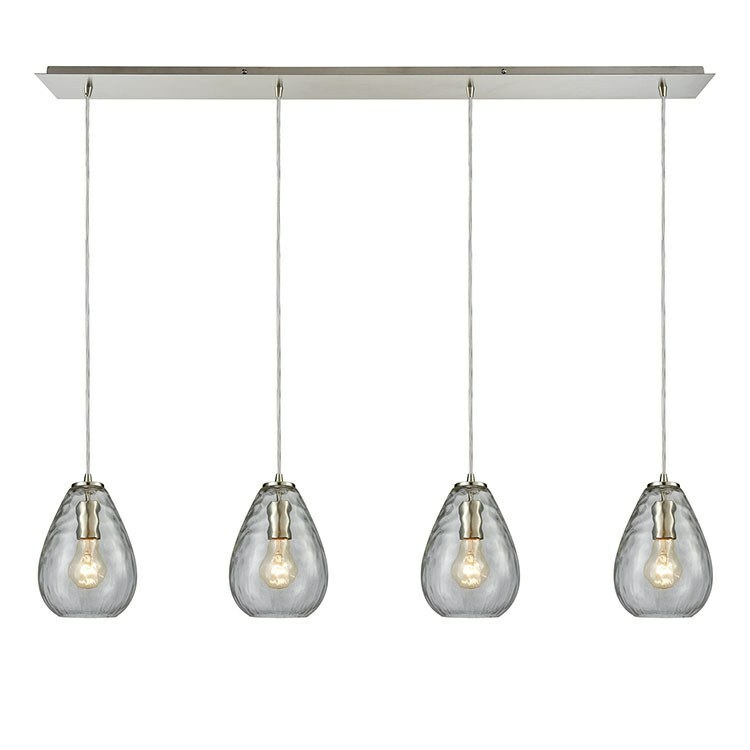 This four-light linear pendant features a Satin Nickel finish.